Welcome to Central Va Carpet Cleaning! We are a locally owned and operated business specializing in truck mounted hot steam extraction carpet cleaning. This is the method that is recommended by the leading carpet manufacturers. We pride ourselves in exceptional customer service and we guarantee your satisfaction. Remember, Clean Carpets Last Longer. Why is truck mounted hot steam extraction the best? Because the equipment is run off the power of the truck engine, this provides powerful suction to extract dirt from the carpet backing and pad. It also heats the water to 220 plus degrees to break down stubborn dirt in your carpet and rugs. Has your carpet been matted down from everyday traffic? 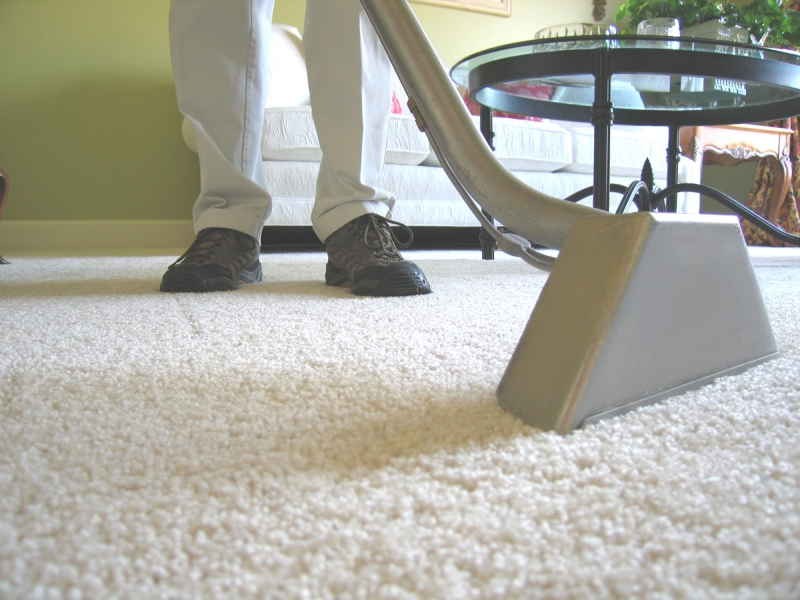 Central Va Carpet Cleaning uses the special tool called the Rotovac. This tool thoroughly cleans from all directions and rejuvenates matted down traffic areas.